Sophisticated bunker strategies and multiple tee placements enhance the charming idiosyncrasies of six greens tucked behind or abutting long lakes and the occasional huge lava formation in the middle of a few fairways and bunkers. 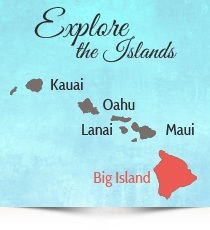 The layout meanders through and around Hawaii’s second largest petroglyph field (rock carvings), ancient burial grounds and the remains of an ancient fishing village. No doubt, the Waikoloa Beach Course will fulfill every golfer’s Big Island golf course fantasy and then some. No golf course deserves some intense play more than this gem from Perry Dye, which is now under new ownership and management and ready to assume its rightful spot as one of Hawaii’s very best courses. The verdant rolling layout, with a terrific assortment of gently legging holes, appeals to every level of golfer. There’s no shortage of challenge on this lush and enjoyable layout. This course sits right on the Pacific Ocean for all of two and parts of three holes, which flourish along the edge of Keauhou Bay. “Spirit of Golf” fixates on one’s mental approach to the game—positive thinking, visualization, concentration, relaxation, breathing, ritual and reinforcement of all of the above. This will take strokes off your game, no matter what clubs you play or how your swing looks or feels. 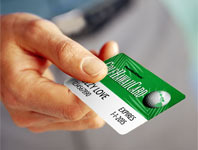 Exclusive golf values with your GOLFHAWAIICARD on the Big Island.